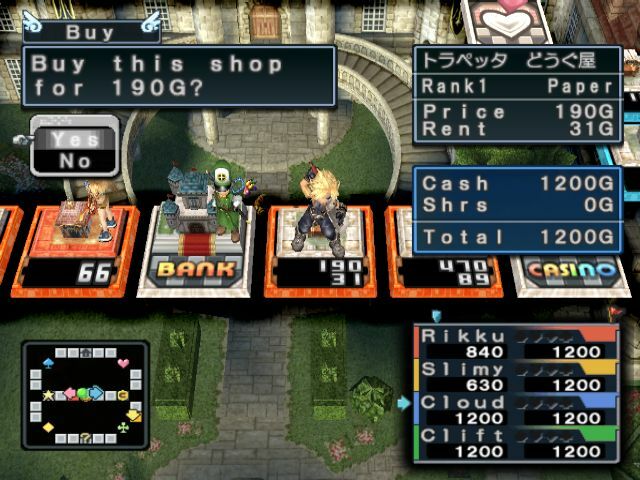 Itadaki Street(or Fortune Street) is a Japanese version of monopoly. You go around the board and collect property and money to meet the winning objective. This series of games are popular in Japan. 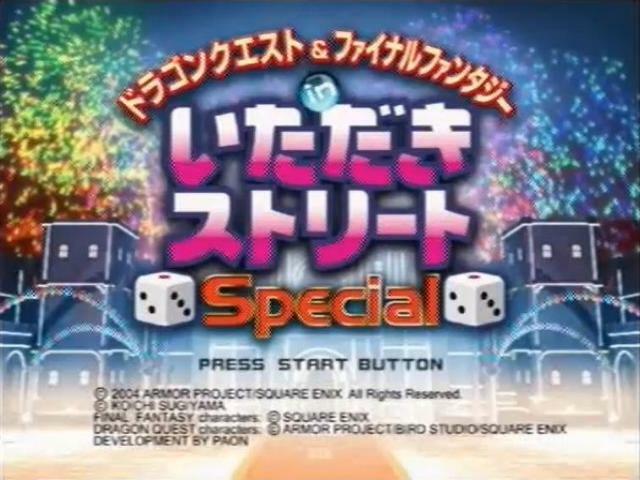 This game also features Final Fantasy and Dragon Quest characters to liven things up. 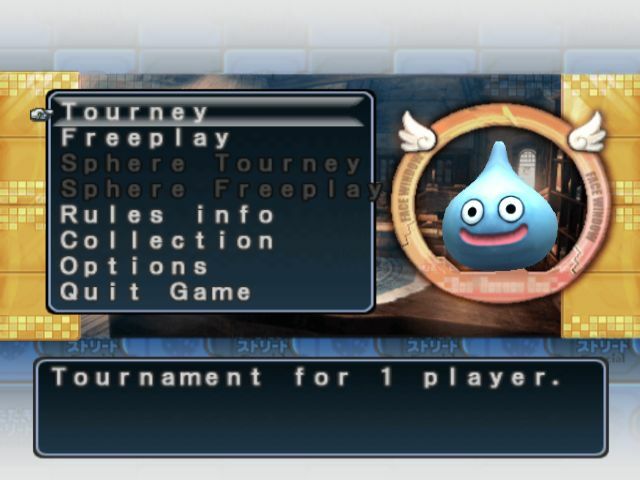 This patch translates many of the menus however a lot of abbreviations were used because of size constraints.